Check out our other Fall Crafts. Soak the dry gourd for 24 hours. 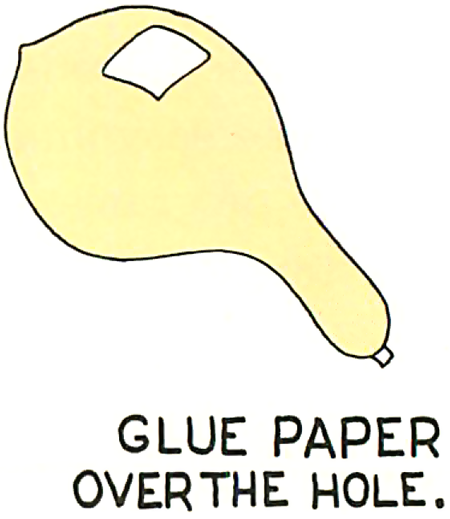 Glue paper over the hole. 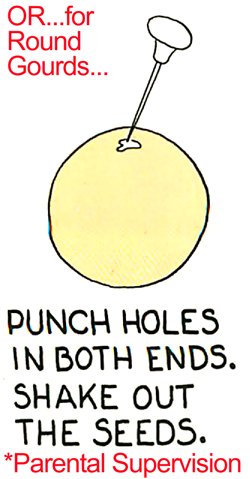 Punch holes in both ends. 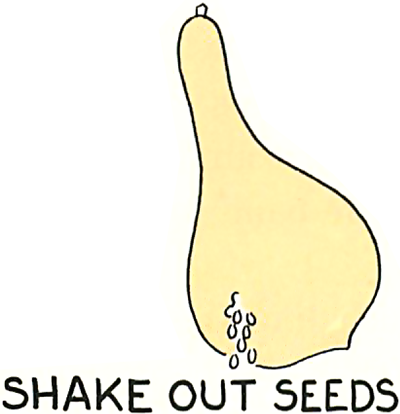 (Parental Supervision) Shake out the seeds. 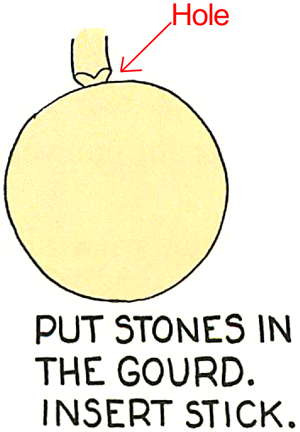 Put stones in the gourd. 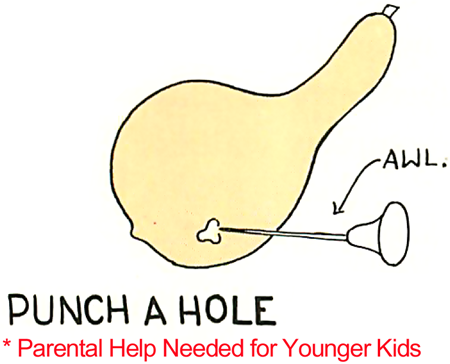 Insert stick. 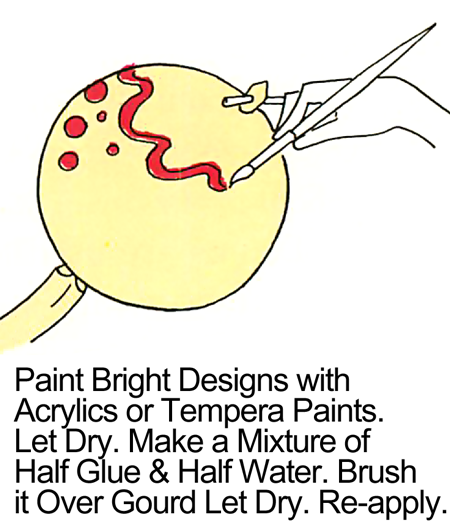 Paint bright designs with acrylics or tempera paints. Let dry. Make a mixture of half glue and half water. Brush it over gourd. Let dry. Re-apply. And, there you have it…. 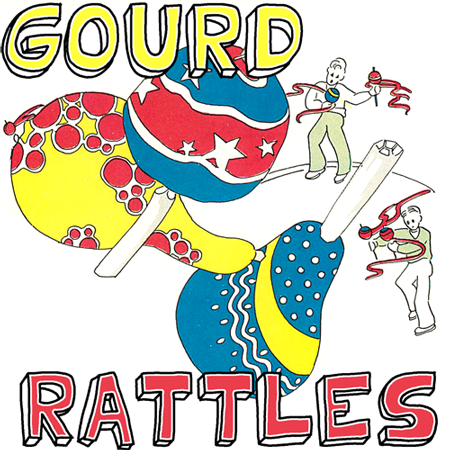 you have a gourd rattle or gourd maracas. What did you decide to make? Let me know in the comments below. 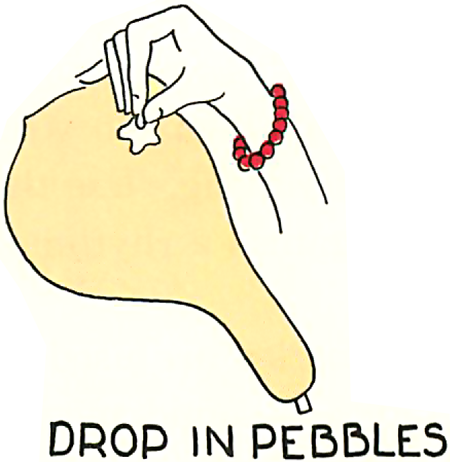 And, don’t forget to take a picture of your finished gourd craft…. add it to the comment too. I’d love to see it.